Amazon Delivery Service Partners was highly touted; where does it stand after a few months? A Vancouver B.C. delivery company expanded its partnership with Amazon last week, even as logistics experts said the scope of the e-giant’s much discussed Delivery Service Partner (DSP) program remains a huge unknown. “In terms of Amazon’s logistics program, I probably know more than 99% of people out there,” said Tony DiNitto, an Austin-based consultant has analyzed Amazon delivery initiatives on his RouteTycoon site. Amazon’s delivery boat is overflowing. The company has hundreds of warehouses, an in-house fleet of trucks and airplanes and a network of gig economy delivery drivers. But it still can’t stay ahead of the frenetic demand created by its Amazon Prime two-day delivery service. So last June, the Seattle-based company announced with much fanfare that it would create a Delivery Service Partner program aimed at jump-starting hundreds of small logistics businesses across the country. The initiative gives entrepreneurs resources to hire drivers and lease up to 40 vans to deliver Amazon packages from warehouses to homes. Amazon has received thousands of applications for the DSP program, said Amazon spokeswoman Amanda Ip. The company expects to have around 100 partners by the end of the year, she said. One such collaborator is ParcelPal, a Vancouver B.C.-based outfit that announced last week it was expanding an existing relationship with Amazon by moving into the U.S. ParcelPal is launching its American operations in Everett, Washington, according to a company press release, and will eventually roll out across the country. Davis-Sramek said ParcelPal is interesting because of its “uberization of package delivery” business model. According to the company website, ParcelPal enables customers to order on-demand deliveries from retailers and restaurants. The big transportation and logistics companies are looking closely at iterations of this model, Davis-Sramek said. Like ride-sharing services, contracted drivers could choose to accept a pickup, but instead of moving people, they would move packages. “It could be incredibly efficient,” she said. ParcelPal’s contract with Amazon in the U.S. will not include on-demand services, Ip said. Amazon did roll out an Uber-esque style service in 2015. 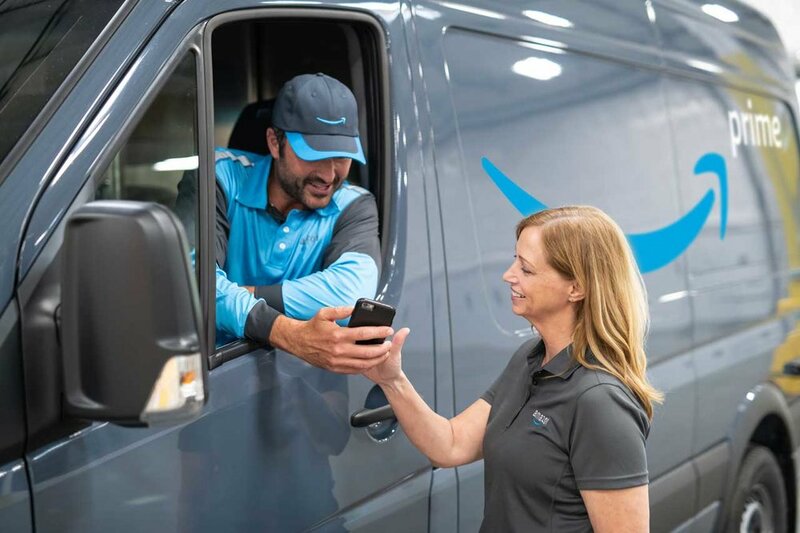 Its Amazon Flex program pays non-employees to deliver packages from their own vehicles. Amazon Flex, DSP and other logistics programs have fueled speculation about the company’s effort to sever ties and eventually compete with longtime partners such as the U.S. Postal Service, UPS and FedEx. “They are currently claiming they are not going to compete,” DiNitto said. But actions, he said, speak louder than words.